Vincent Longo Orombra and Ardensa Chiara Flush Sticks review and photos. Vincent Longo Orombra and Ardensa Chiara Flush Sticks. Vincent Longo Orombra Chiara Flush Stick. Vincent Longo Ardensa Chiara Flush Stick. 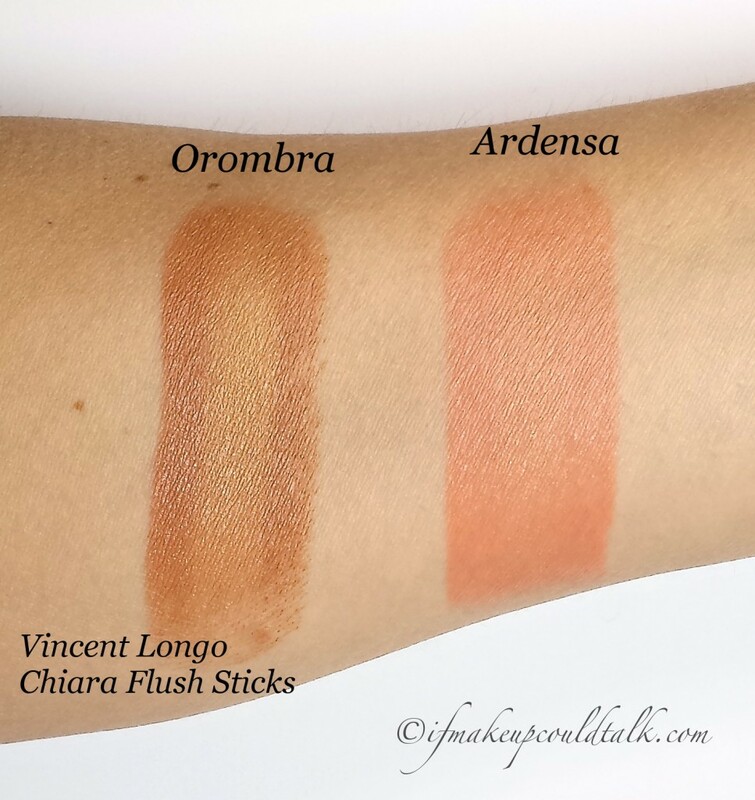 Vincent Longo Orombra and Ardensa Chiara Flush Sticks swatches. 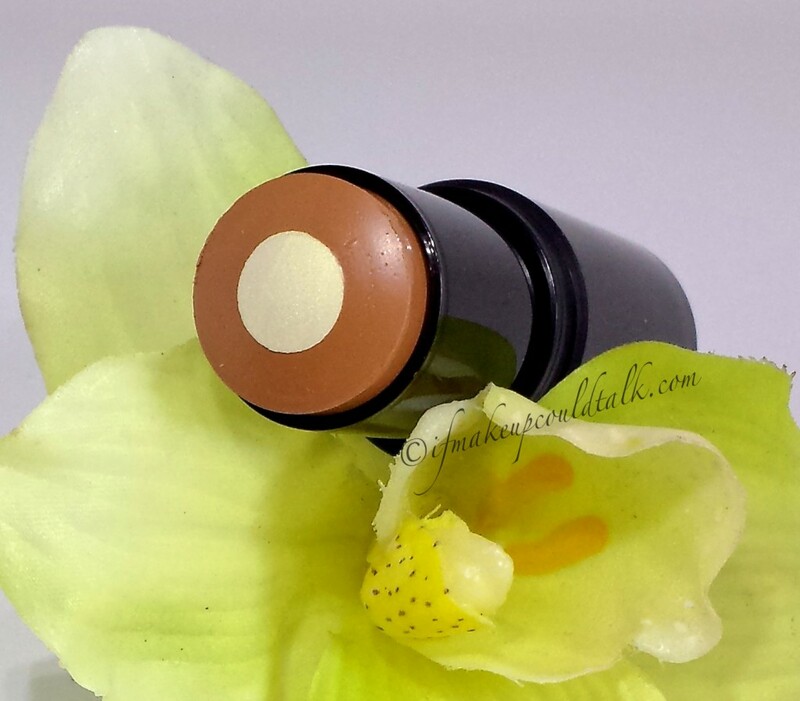 Orombra Chiara Flush Stick is a “golden amber with a shimmering golden core.” Fantastic bronzing color to add instant warmth to the skin. Ardensa Chiara Flush Stick is a “soft coral with a shimmering apricot core.” I would say this a pretty accurate description. 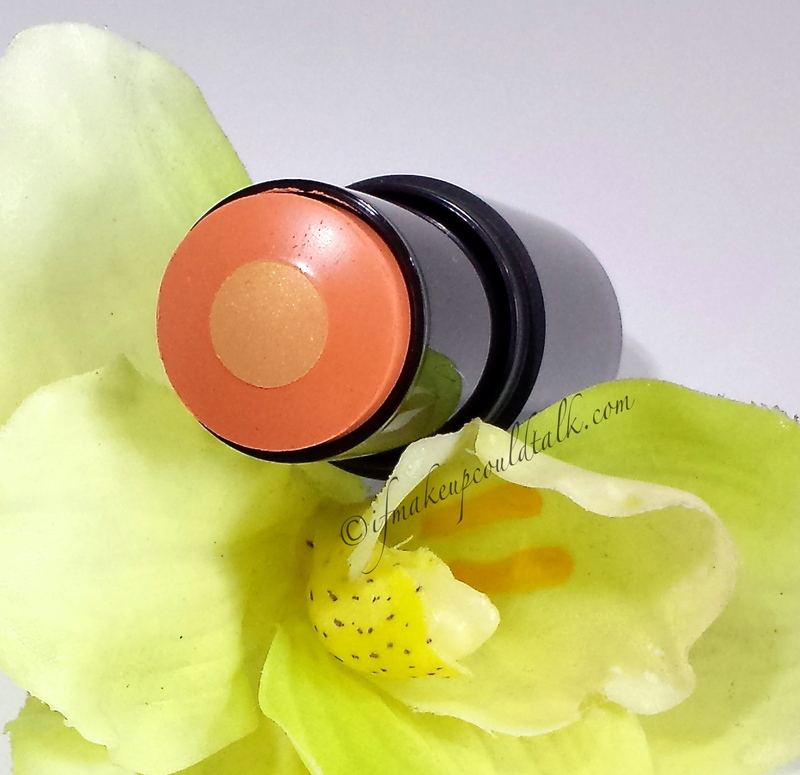 On my olive skin, the coral flush instantly livened the appearance of my face–perfect color for spring. Illuminating core delivers just the right amount of radiance without any shimmer particles–an additional highlighting shade is optional. Both sticks apply with the greatest of ease and blend seamlessly. Can be applied straight from the tube to the skin and blended with fingers or a synthetic brush. Emollient texture feels soothing on very dry skin. 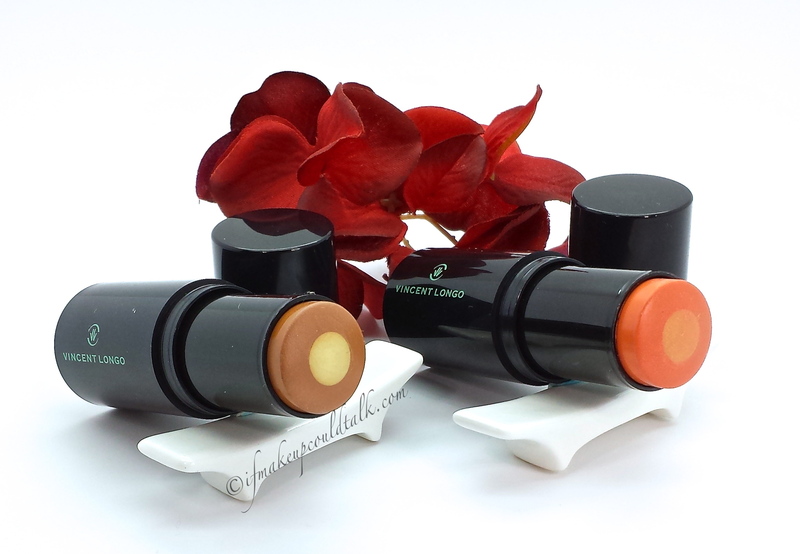 Sleek lightweight packaging and convenient stick form is ideal for travel and touch ups. Colors can be built-up to the desired intensity without any patchiness. An additional layer applies evenly without disturbing the existing layer. Both colors did not settle into pores or fine lines. Orombra and Ardensa lasted 10-12 hours (this will vary on oiler skins). Formulated without parabens or fragrance. Although these Flush Sticks last well throughout the day, they do not fully set. It would be highly advisable to avoid touching the areas of the face were the colors are applied. Due to the dual ring design, the inner highlighting core is difficult to access for sole highlighting purposes. Vincent Longo Cosmetics are sold mostly online. Vincent Longo Orombra Chiara Flush Sticks applied heavily to the hollows of the cheeks. Vincent Longo Orombra Chiara Flush Sticks blended with MUFE #110. As you can tell by the above photos, Orombra is shockingly dark, but the smooth texture sheers out easily and leaves behind the perfect sun-kissed glow. However, should one desire a more intense look, I found well blended layers settle on the skin beautifully and appear the most natural. Should one desire a completely matte look, simply angle the stick on the side to access the outer ring color. 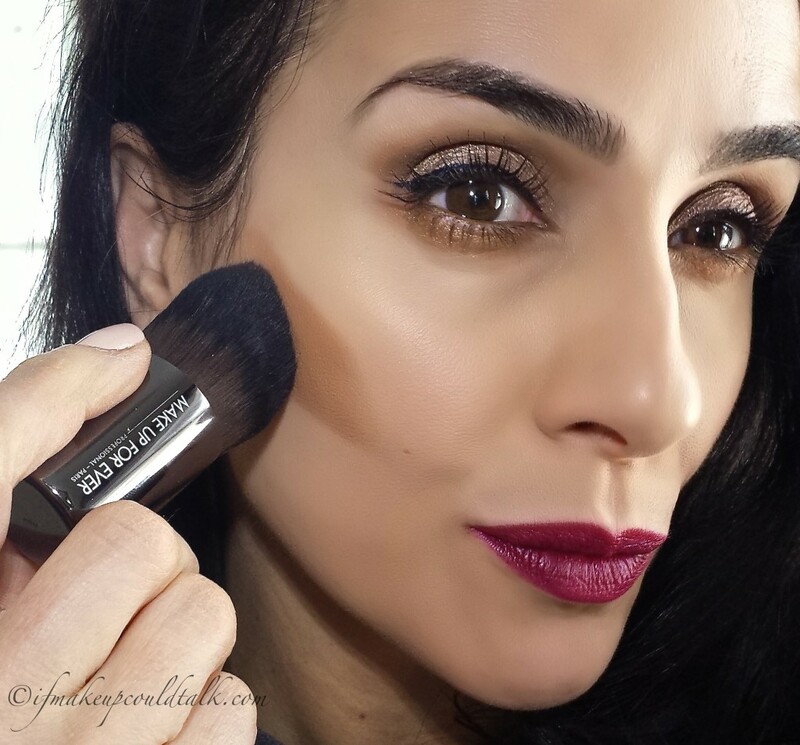 Vincent Longo Ardensa Chiara Flush Stick applied heavily on the cheeks. 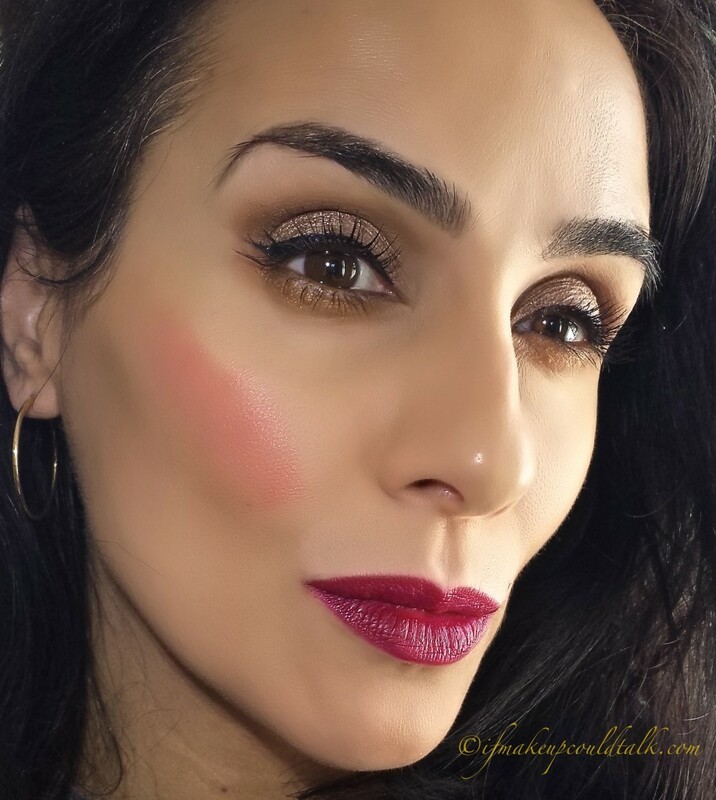 Vincent Longo Orombra and Ardensa Chiara Flush Sticks worn as a bronzer and blush. The addition of Orombra really gave my sallow lifeless skin a bronzy glow and Ardensa provided the prettiest flush to the cheeks. I can only imagine how beautiful this combo will look on tanned and darker complexions. The overall effect is healthy and radiant–who wouldn’t want that? Caprilc/Capric Triglyceride, Cera Microcristallina, Pentaerythrityl Tetraisostearate, Mica, Polyethylene, Silica, Phenoxyethanol, Tocopheryl Acetate, Dehydroacetic Acid, Simmondsia Chinensis Oil (Jojoba Seed Oil), Butyrospermum Parkii (Shea Butter)Butter Extract. May Contain (+/-): Titanium Dioxide (CI 77891), Iron Oxides (CI 77492), Red 28 Lake (CI 45410), Yellow 5 Lake (CI 19140), Iron Oxides (CI 77491), Iron Oxides (CI 77499). Makeup would tell you Vincent Longo Orombra and Ardensa Chiara Flush Sticks have proven themselves every bit as fantastic as I had hoped. The hydrating feel, illuminating finish, flattering colors, and convenient packaging and application definitely have earned a place in my makeup routine. 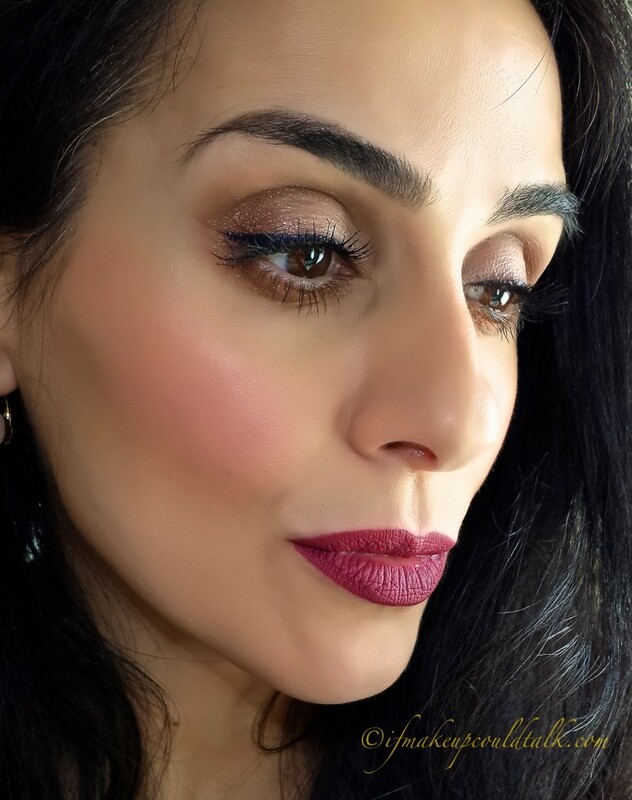 Next on my Vincent Longo must have list–the creme gel liners in Golden Orbit and Flamenco and the “Thinstick” lipsticks–all of these babies are just longing to come home with me. 🙂 Until next time, be well, stay safe and be happy. 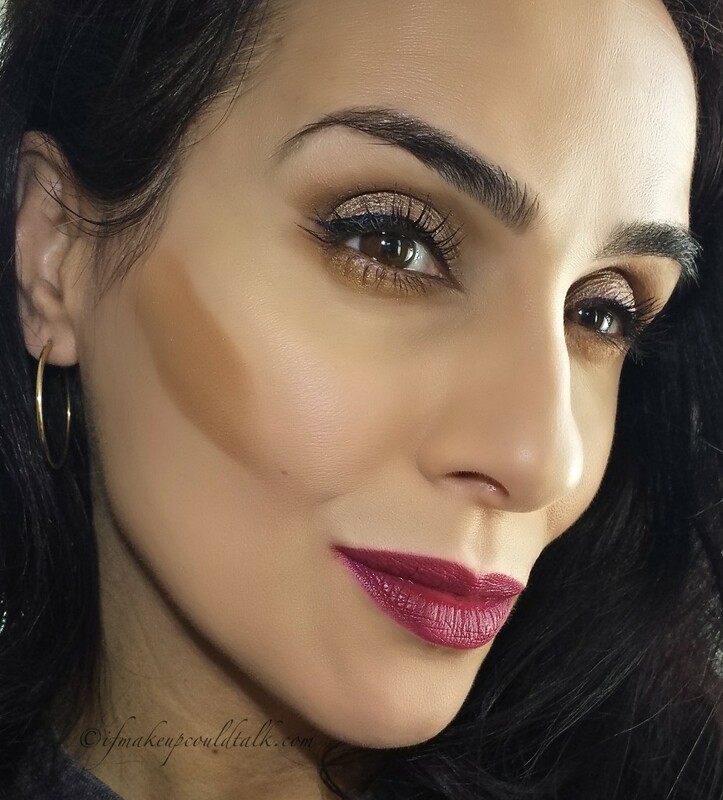 *Ifmakeupcouldtalk.com is not affiliated with any brands mentioned, the items in this post were provided by PR for consideration. *Compensation is not given for any reviews. *Click on each photo to enlarge. *Click on the rose highlighted words to take you to a direct link to each product. *All opinions are my own and based on my experiences. *All photos are property of Ifmakeupcouldtalk.com unless otherwise noted.